• On chip 3A switch. • On chip over voltage, over current and overtemperature detection and protection. CH7251A is designed to go in the USB Type-C charger. It follows USB Type-C Specification 1.2. CH7251A integrates all necessary components and circuits, such as LDO, clock generation, isolation circuit, etc. on chip so that it does not require external components and provides a simple solution with low BOM cost. The on-chip 3A switch and over voltage, over current and over temperature features are included. 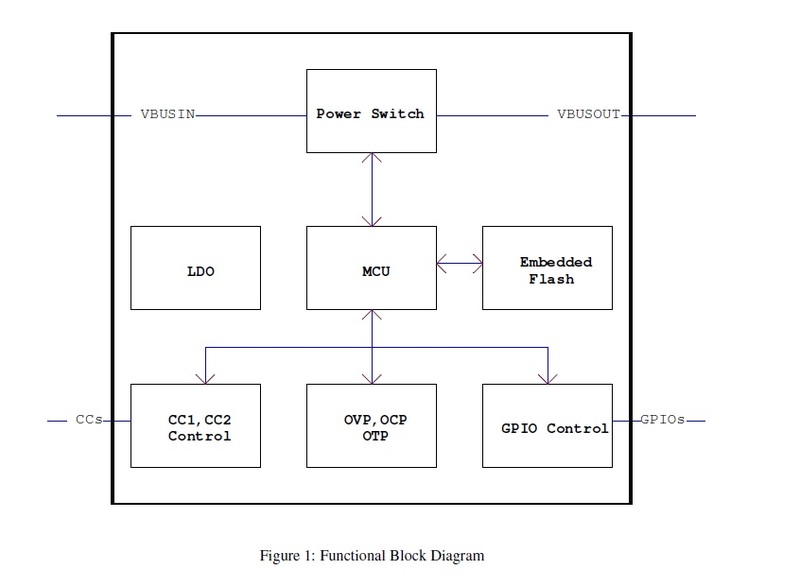 It has embedded flash that allows ODM/OEM to use according to specification requirement.